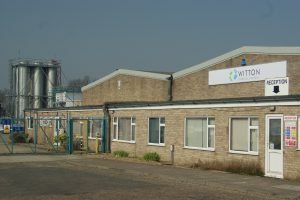 Witton is well equipped to handle a wide range of chemicals including flammable, corrosive and viscous materials. We have facilities to handle materials that melt between 20°C and 90°C. We are capable of carrying out exothermic reactions, polymerisations, distillations and recrystallisations. We have the facilities to isolate, wash and dry solids. The driers have an operating temperature range of 10°C to 90°C with vacuum capability down to 100mbar. Solvents and other materials can be stored and handled in bulk. Bunded bulk tanks have a total storage capacity in excess of 450,000 litres. Raw materials can be handled from small to medium quantities in kegs, bags, drums, IBCs, or FIBCs to large quantities in bulk. Finished products can be packed into quantities from a few kilograms up to bulk loads. Refrigerated storage to -18° C and heated storage to +60°C are available. Warehouse storage is in excess of 1000m2 and there is additional storage space on site.